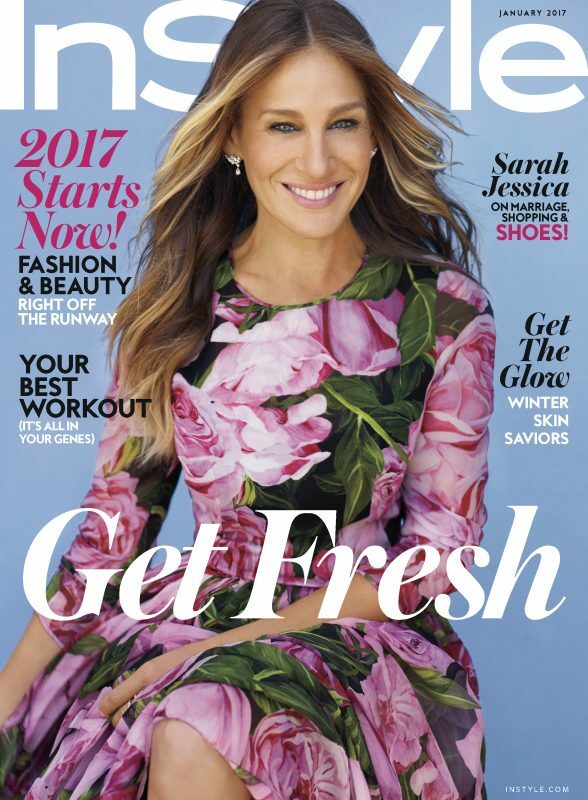 Style icon and actress Sarah Jessica Parker fronts the January issue of InStyle, donning a floral print dress by Dolce & Gabbana on the retail cover and a sheer, floral embroidered gown on the subscriber edition. 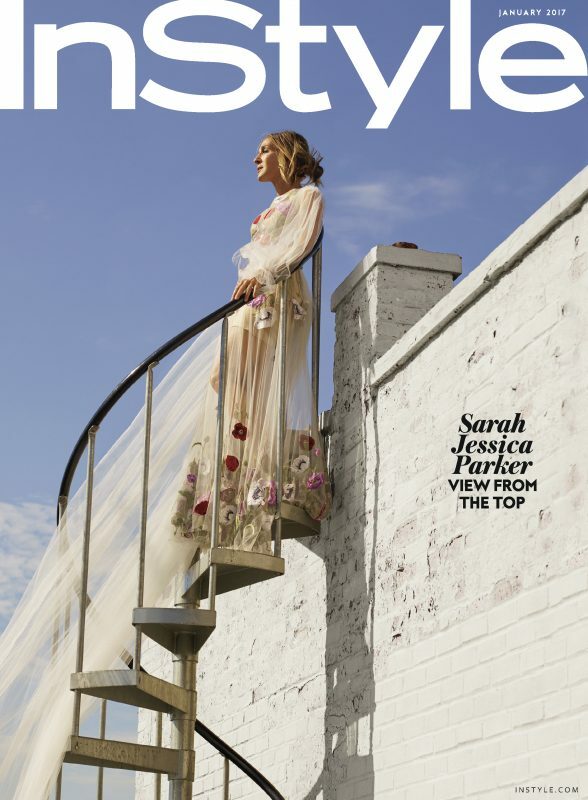 The shoot was lensed by Thomas Whiteside and styled by Ali Pew, with Parker’s hair guru Serge Normant on tress patrol and Leslie Lopez on makeup duty. In a tête-à-tête with EIC Laura Brown, Parker discusses the evolution of her style, launching her shoe and fragrance line, her HBO show Divorce, and being a celeb parent. Scoop up a copy when the issue is released on December 9. Dress: J. Mendel; Earrings: Tiffany & Co.